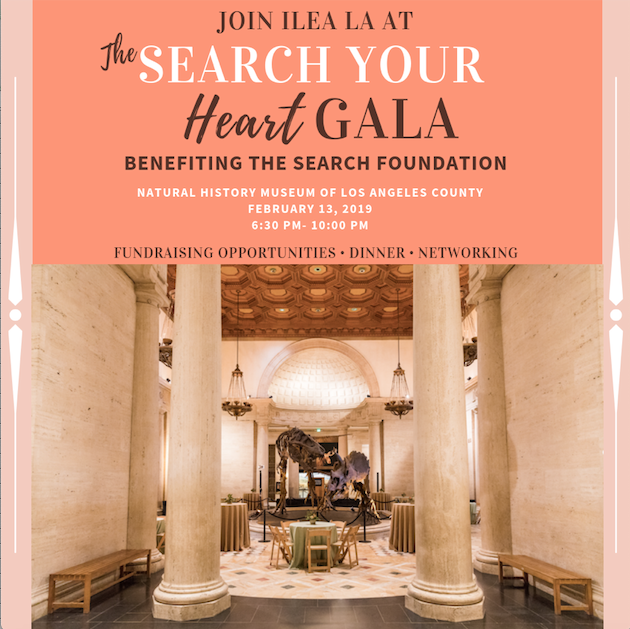 ILEA Los Angeles is spreading the love as we host a fundraising Gala benefitting the SEARCH Foundation. The Gala will bring together event professionals from across Southern California for a night of fun, networking and entertainment - but most importantly the funds raised will help the SEARCH Foundation to continue its mission of assisting event, meeting and hospitality professionals in crisis. SEARCH Foundation is a 501c3 that assists special event, meetings, catering and hospitality professionals faced with a life-threatening illness or catastrophic occurrence.